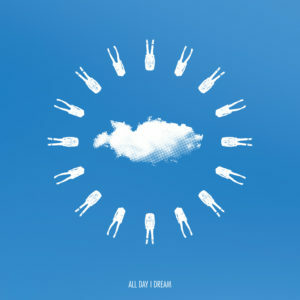 All Day I Dream returns for another Summer Sampler with seasonal tunes from the likes of Jonas Rathsman, Sébastien Léger, Volen Sentir, Leo Grünnbaum, YokoO, and more. Wonderous pads, delicate percussion, and soft voicings cohesively blend the 9-track compilation into a spectacle of aural bliss, weaving between dancefloor friendly and the more sonically relaxing tracks under ADID’s signature modus operandi. Facundo Mohrr & Valdovinos’ ‘November,’ kicks off the release with an effortless gliding bassline, soothing mallet melodies, and subtle Marlena Shaw vocal chops, conjuring graceful imagery like leaves falling in Autumn woods. Throughout the compilation are a number of darker peak-time tunes like Jonas Rathsman’s ‘Nazca’, Leo Grünnbaum’s ‘Beast In The Dark’, and Sébastien Léger’s ‘Blowfish’. Whether it’s the psychedelic plumage on YokoO’s Soft Retouch of Life Less Ordinary’s ‘Moments,’ the warm vibraphone pluckings on Jamie Stevens & Joe Miller’s ‘Wanderjahr,’ or the exotic drum work on Rowee’s ‘Butterflies,’ the Summer Sampler is a compelling and well-rounded compilation that showcases All Day I Dream’s mood-transcending flairs.